Your membership is vital in ensuring that we can continue to help and support your squash journey and also positively contribute to the growth of the sport. We strive for excellence. We want to continue producing champions and cement Scotland’s position as one of the top squash playing nation in the world. We are working on bringing our players a whole host of exclusive and exciting benefits, by linking to our partners to offer unique deals and discounts on incredible products. Keep checking back over the next few months as we release the details. Our coaches gain access to an amazing array of development and training opportunities. We also provide a library of resources to facilitate new and exciting session plans for players of all ages and abilities. We champion best practise and provide our clubs with a wealth of governance support. From funding application assistance to marketing guidance we aim to make our clubs as safe and welcoming as possible. To become a member join your local affiliated club. 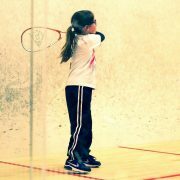 It doesn’t matter how experienced you are, or your squash level, our clubs accommodate all players. Improve your skills, join a team or play socially. If you’re happy playing in your local leisure centre, or unaffiliated venue, become a social member for free by registering a profile on sportyhq.com.